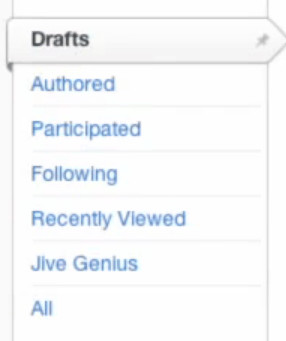 To create a document in Jive, click the Create tab at the top of the screen. Choose Document from the drop-down menu. 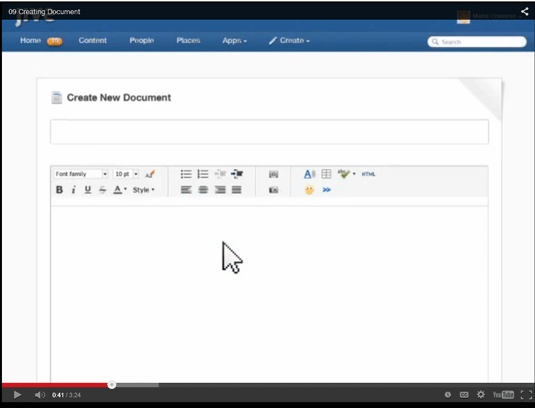 Jive opens a new screen for creating a document. This screen will probably hold some familiar features. You have several options that you would see in other word processing programs. Enter text and create documents as you would in any other word processing program. When you have finished, you can choose to Publish the document if you feel comfortable with what you have done. If you want to peruse it later before publishing, click Save Draft. If you need to retrieve a draft for editing at a later time, simply click the Content tab and choose Drafts. Select the draft you want to view and edit. If you choose to upload a file instead of creating it directly in Jive, simply go to the Create tab and choose Uploaded File. The Upload a File page appears. 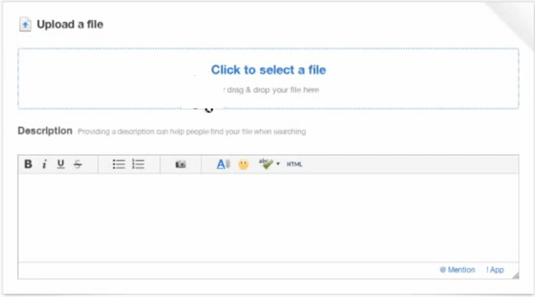 Choose the file from your computer, and your document is uploaded to Jive. If you need to edit a document at any time, simply find the document under the Content tab. 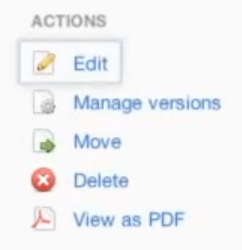 When you have found the document, choose Edit under the Actions tab on the rightside of the screen. Make any necessary changes to your document. Your changes are made immediately and those Following your document are notified that the document has new changes for them to view.